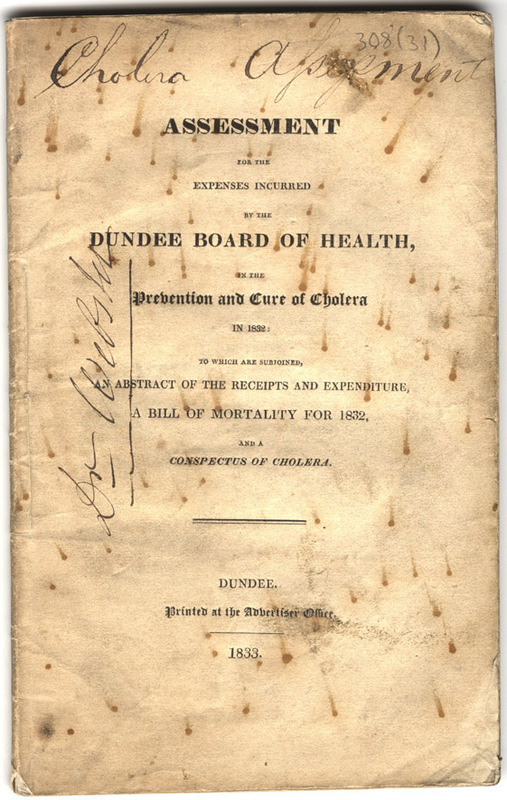 This assessment is for the expenses incurred by the Dundee Board of Health in the Prevention and Cure of Cholera, and includes receipts, expenditure, bills of mortality and Conspectus of Cholera. Provost William Lindsay is Chairman. It states in the report that the epidemic prevailed in Dundee for a period of thirty weeks, during which time it attacked over eight hundred people, although it is also probable that many cases were not reported. The total number of deaths is reported at five hundred and twelve.